Stanley J. Spero, formerly Spero & Jorgenson PC, is an expert and thirty year veteran of fighting for justice on behalf of sexual abuse victims. Stanley Spero is recognized as a top rated professional liability attorney in Boston, Massachusetts. Mr. Spero was selected to Super Lawyers in 2018 and has been licensed in the profession of law since 1973. Super Lawyers is an exclusive list of top-rated attorneys in specific practice areas who were chosen after thorough evaluation of numerous criteria. Mr. Spero has been recognized for showing dedication, leadership and excellence in professional malpractice law and for more than three decades has dedicated his career to representing hundreds of victims of sexual abuse and sexual exploitation. Stanley Spero has been specializing in representing victims of sexual exploitation by professionals across the United States since 1985, and is revered nationally for his focus and industry savvy. He has been recognized by Martindale-Hubbell as an AV Preeminent Attorney. Mr. Spero has also obtained a Superb 10.0 rating from AVVO for his experience, industry recognition and professional conduct. Mr. Spero is the President, CEO, and Director of Advocate Web, a nonprofit corporation providing support and educational services to victims who have been exploited by trusted professions. After 43 years of experience in the legal profession, Mr. Spero has represented victims of child abuse and victims of professional misconduct and malpractice cases which involve sexual exploitation by psychotherapists, clergy, educators and health care providers. Mr. Spero intimately understands that litigating these types of cases is about far more than just obtaining financial compensation for suffering. It is also about holding the abuser and the church or other organization accountable as well as getting a predator off the street so that no other potential victims will have to suffer. Mr. Spero is focused on the individual needs of every client. Mr. Spero understands the harm that is caused as a result of sexual abuse to children and adults by those in a position of authority such as clergy, pastoral counselors, physicians, psychiatrists, psychologists, psychotherapists, social workers, and educators. He is committed to continue his current role of supporting and helping victims of sexual exploitation. Mr. Spero knows what must be done in order to obtain restitution and justice on his clients’ behalf. Mr. Spero’s verdicts and settlements further portray his credibility as a highly trained attorney. After commencement of numerous cases against the Catholic Church, a settlement process was initiated which resulted in individual awards to plaintiffs totaling $10 Million Dollars in one case. Further, Mr. Spero represented some of the victims in the Boston clergy abuse cases which also resulted in awards amounting to $10 Million Dollars and which provided the basis of the movie “Spotlight”. Each case involved sexual abuse of minors by catholic priests. More importantly, Mr. Spero has been a pioneer in paving the way to justice for these victims of sexual exploitation. 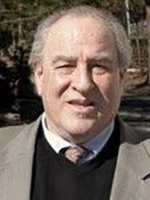 He has been published extensively in national professional journals, law reviews and other national publications like Psychiatric Times and Lawyers Weekly and quoted in newspapers such as the Boston Globe, the New York Times, the Washington Post and the national expose published in the Atlanta Journal-Constitution. Mr. Spero graduated from Boston University and Boston College School of Law. He is admitted to practice law in the State Courts of Massachusetts, the U.S. District Court District of Massachusetts, and the U.S. Supreme Court.